The Indian Premier League season XI has kicked off and is sure to be dramatic and exciting as ever. The IPL fever is on and what better place to watch it then on a big screen along with lip smacking food and some cold beer down your belly. These places give the very best offers to the cheering cricket fans and one can expect an unforgettable experience. So are you game? Gear up for the IPL this year and enjoy a great time watching the matches in thrill and excitement. Here are 7 cool places to drop in this IPL season for a fun time guaranteed. Xtreme Sports Bar – Got 99 problems and beer solves them all! As the name suggests head here for an awesome live sports experience guzzling your beer and having delicious food. It is dedicated to sports fans offering screening of both live football and IPL matches which has a loud and electrifying atmosphere. So for all the adrenaline pumped crazy sports lovers out there this is the place you want to head to this IPL season. Prost Brew Pub – It has a relaxing ambience with dim lights and authentic feel to it and boasts of brewing the best variety of beers in Bengaluru, so if you prefer to laze around having a conversation watching the match this is the place to be for the IPL. Cheers! Big Pitcher – If you love your drink and your IPL you can’t say no to this pub, serving a variety of quality beers and other alcohol and amazing buffet offers, nightlife, rooftop experience with six levels of pubtainment. Muphy’s Brewhouse- The Paul – Freshly brewed beer, Pizzas and live IPL action a dream combination isn’t it? So why wait, check this place out this season which is the first Irish Pub in Bangalore and has a choice of delectable Indian and International cuisine. Vapour Pub and Brewery – If you like the outdoors you should hit this place, you can enjoy its popular beer cocktails and home brewed beers thanks to its dedicated installed brewery and enormous collection of some of the finest spirits, in the rooftop viewing exhilarating IPL matches. The environment is relaxing and the menu too won’t burn a hole in your pocket. 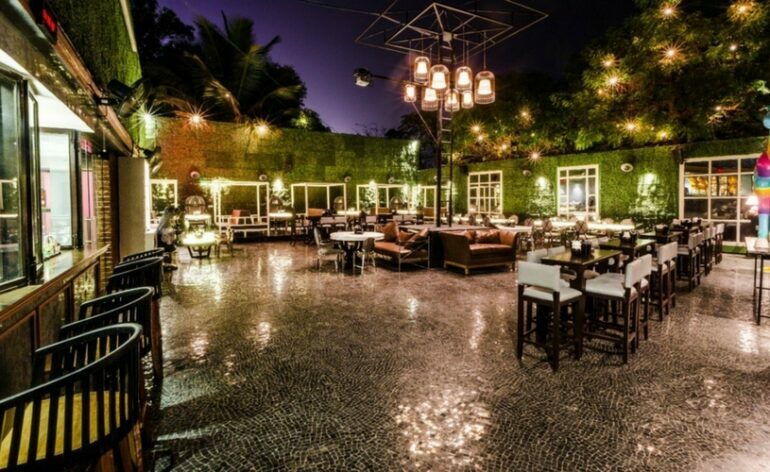 Margarita – A reasonably priced bar perfect to hang out with your groupies and friends and watch the IPL live. You have a fine selection of mouth watering starters to go with your drink. TGIF – TGIF is an international phenomenon where people are the priority flavoured with innovation. This place has great offers and the most amazing menu serving a measureless choice of the best food and drinks where you can enjoy a truly enjoy a quality dining experience. This place is perfect for you to chill out and is one the best places to follow the live screening of the IPL matches this season.